It is always a point of credulity when a music blogger puts their neck out at the beginning of the year and declares that the following 12 months will be festooned with white guys with guitars reclaiming their rightful place at the top of the music food chain. Instead British music in 2013 was a more omnivorous affair with lots of different things happening. Below is a scant snapshot of the range on offer this month. It seems the future of British music (note to one’s self) will be protean and unpredictable, but also pretty exciting. Ghostpoet is equal parts chameleon, Corinthian and caricature. He is a rapper from Coventry, a post-industrial multicultural city that was the home of landmark British acts like The Specials and The Selecter. Like the latter two acts, Ghostpoet’s animated inventiveness is countered with despondent lyrics about life’s unremitting daily grind. There’s a jolting anxiety and uneasiness to his work that makes one realise he has very real things to say about the human condition. His work with African Express this year made for a Malian rhythm infused record that blends tribal drums with anachronistic arcade game sounds. The lyrics are desperate and needy, yearning for change and redemption – very much echoing the plights of both the disenfranchised underclassmen of Britain and the war torn peoples of central Africa where Season Change was recorded. Even though British guitar music failed to deliver in big ways this year, there was some good stuff. One group that registered is Royal Blood, a two-piece rock act from Brighton that manages to create an epic sound despite only consisting of a bass guitar and drums. Locked somewhere between the anger of Rage Against the Machine and the sheen of Muse, Royal Blood isn’t just raucous noise, there is a great deal of skill at play here, much of it inspired by everyone from Led Zeppelin to The Pixies. 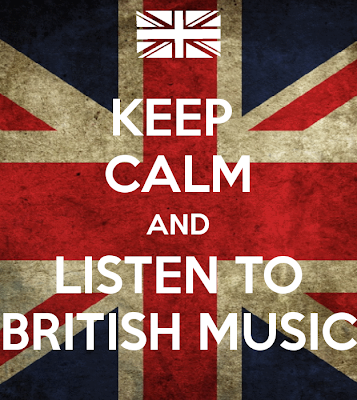 Britain makes country music? No, not really, though there is a movement called Cowboys for Country Music that pickets major broadcasting headquarters and line-dances in front of them in an effort to make UK radio stations play more mainstream American country music. Country music is seen as far too removed from British culture, but Ned Roberts is a figure that sounds like the reincarnation of Tex Owens. To be fair, our Ned is American by birth but he has made his home here in England and draws as much inspiration from the bucolic wilderness of Wiltshire as he does the wild west of Wyoming. Dance music flows through the veins of Europeans. It belongs to us and has been a mainstay of our music culture for decades. Dance music is what brings Europe together, a unifying backdrop that enables us to engage in common equanimity. Before dance music came about we were constantly warring with each other, but now we get down in shared appreciation of binary rhythms and beats. While the Americans insist on cheapening the brand by proclaiming cheesy EDM as their saviour, we Europeans know real dance music when we hear it. Britain’s Jon Hopkins has produced the kind of record that does something familiar but adds melodic touches and flourishes you don’t see coming. This is a thinking person’s dance music and has one heck of a music video accompanying it.